Learn how to write the chemical formula of a variety of chemical compounds using the arms and link method. This is the quickest and easiest way to learn. Armed with a basic Periodic table students can begin to write chemical formulas in one easy lesson. 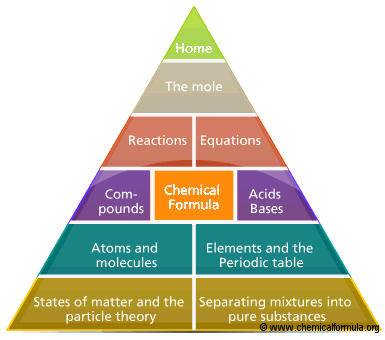 Learn these the formula of these common chemicals and more.